Whether you’re in the market for a sophisticated Porsche Macan or a sporty and adventurous 911 Turbo, our Porsche dealer near Los Angeles is here to get you behind the wheel. With our online financing application above, you’ll be at Porsche Riverside–searching for the car of your dreams–in no time. All we need from you is a little bit of information. And don’t worry about your safety; the form is completely secure. Thus, all the information you provide is protected and only used to complete your financing application. From your name and address to the vehicle of your interest, we’ll be able to determine the Porsche financing plan that’s best for you. 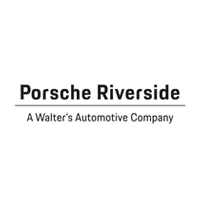 At Porsche Riverside, we will do all in our power to get you the best loan possible. Our team of financial experts are not here to empty your bank account; rather, they will work with our lenders to guarantee a fair and competitive rate. And if you’re planning to lease a brand-new Porsche, we’ve got you covered. Our Porsche lease specials for Los Angeles area drivers are very competitive. If you have any questions about the form above or the financing process in general, feel free to contact our Porsche Riverside dealership serving Los Angeles, Rancho Cucamonga, Chino Hills, and Ontario at (888) 536-5618. We are ready and willing to answer any questions you may have.